The reproduction for the Ostrich is very interesting. During mating season the isolated living or pair living will merge into groups called herds. They will have a dominant male that takes care of them. They will also have a dominant female. She is the only one that the dominant male will mate with. In order for the other males to mate they will have to attract females through a dancing ritual. She will have the final decision with who she is going to mate with. The females will only mate with one male but a male may mate with several females. There is one very large nest that is created for the eggs to be placed into. This is the nest of the dominant female. Hers will be in the center of the nest where they are the most protected. There can be up to 60 eggs per nest when all is said and done. If there are more offered by the herd they won’t be included. The stronger females will get to place their eggs first. This process is a natural way for the strongest genetics to be able to survive. They will each weigh about 3 pounds. After about 40 days they will be ready to emerge from the eggs. The young are well cared for and they will stay under the bodies of the adults in the herd. This protects them from sunlight because their feathers will be very thin and they can easily get sun burned. As they get older though their feathers will become thicker and they won’t need that protection. This type of closeness to the adults helps to build strong bonds. It also keeps the young safe from predators. Ostrich eggs are a very common for predators to go after so the dominant male has a big job of protecting them from being taken. Ostrich are usually ready to mate when they are about 4 years of age. They can mate from March through September. That time frame though can vary based on the geographic region. Food availability, habitat, and drought conditions can all reduce the amount of mating that will take place. In captivity the farming owners are often very selective about who the males mate with. They want to be able to offer overall quality in terms of the hide for leather, the feathers for hats and other items, and the tenderness of the meat. Selective breeding often involves a complex process of DNA profiling. Then they allow the male and female that they would like to mate to be alone in the same area. They have to keep all other Ostrich out because the dominant male will only mate with the dominant female. However, if the two are isolated those types of natural laws start to be pushed aside and the two will mate with each other. 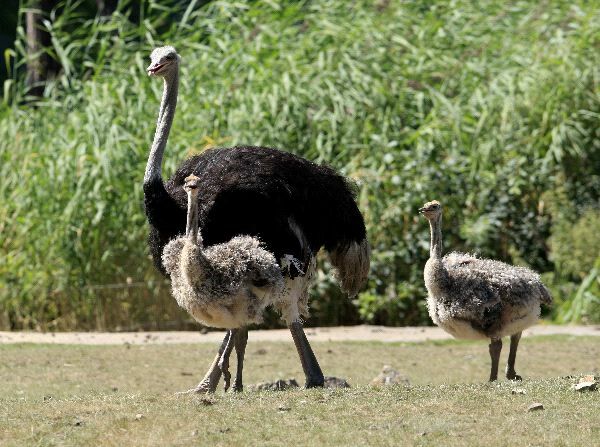 Humans can be a problem when it comes to Ostrich reproduction. They can take away the habitat and that means that they are less likely to mate. In some cultures they will harvest the eggs from the Ostriches. They will trap the adults protecting those eggs and kill them for food. Then they can take the eggs to eat them as well. 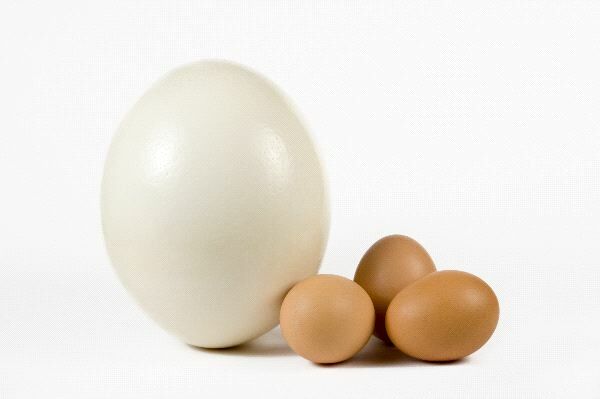 They often use the egg shells for canteens and various types of tools. Studies show that even with a high number of Ostrich eggs and young not making it to the age of maturity, there are still high numbers of them in the wild. There is no protective measures in place for them at this point in time. African tribes use ostrich shells as a water container for bathing and drinking.